The customer, organiser and executor of the criminal case against [journalist] Svetlana Prokopyeva is the Russian state. The goal of this ordered persecution is encroachment on freedom of speech and freedom of mass media in Russia, that is, the basis of the constitutional order. The Russian state has become a terrorist and is leading terror against its citizens. Svetlana Prokopyeva in her column on the “Echo of Moscow in Pskov” [website] wrote after the tragic event [the act of terror] in Arkhangelsk the following: the state, leading terror against its citizens, the state that destroys human rights and freedoms is dangerous for people and dangerous for itself. Judging by the reaction, the authorities did hear Svetlana Prokopyeva. The reaction in the form of a criminal case means a revenge. The Russian authorities regard free citizens who have their own opinion and are ready to express this opinion as a main threat to the power. The essence of the state policy in Russia was suppression of the dissent and war with dissenting citizens. Any public criticism of the state policies, especially in the field of relations between citizens and law enforcement agencies, is perceived by the authorities as a direct threat to the authorities. The case against Svetlana Prokopyeva represents political terror. This case is targeted against every free citizen personally. 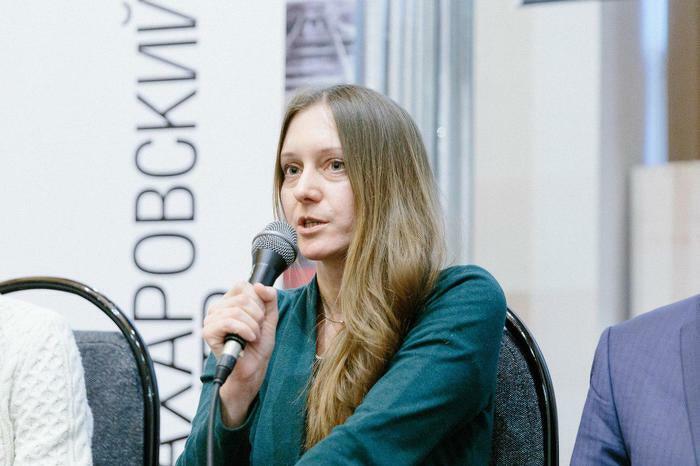 Svetlana Prokopyeva has been working in journalism since 2002; she works with ideas and words; in response, she was confronted with state violence. I express solidarity with Svetlana Prokopyeva and I am certain that she is completely innocent. All those involved in the fabrication of this criminal case should clearly, absolutely clearly understand that this is a criminal contract political case, responsibility for which, sooner or later, will come for all the participants personally, including that in legal form. Posted: February 7th, 2019 under Freedom of Speech, Human Rights.